Meet Fahad, a BE graduate from Mumbai, who recently took the AMCAT. And we use his story to examine why you should give the test, in this AMCAT Testimonial. Fahad shares why you should take the AMCAT in this AMCAT Testimonial. Confused over how the AMCAT would help you get a job, let alone, a good job, in a reputed company? 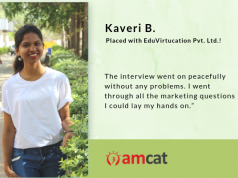 The AMCAT testimonial which we are sharing today, may dispel your doubts over the skill assessment exam and how it can bridge you with your dream fresher job. Meet Fahad, a BE graduate from Mahavir Educational Trusts Shah Anchor Kutchi Engineering College in Mumbai. 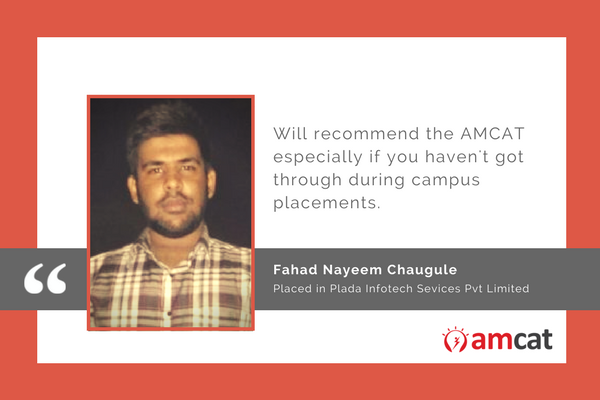 A 2017 graduate, Fahad decided to opt for the AMCAT, to cut down on the effort for finding a job in a good company. Did it help him? Scroll down to find out! With due AMCAT preparation, he went ahead and gave the skill assessment. And had an ‘awesome test experience’. The next step? Getting a job interview for a good position. 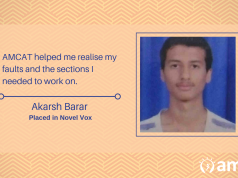 And excelling in it – again with due interview preparation. It’s also a question we receive repeatedly – Do you get Interview calls after the AMCAT? Or What to Do If there are no interview calls after the AMCAT. So, Fahad, what happened in your case? And what was the interview process that you faced? In the end, he said he would recommend the AMCAT, especially at the off-campus placements stage. And what are the things you should keep in mind? Thanks, Fahad. 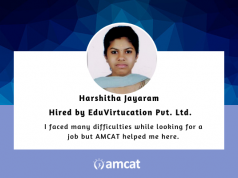 We hope your AMCAT Testimonial helps others who are thinking about giving the skill assessment, to come to a decision about it. If you’re thinking about scheduling an AMCAT for yourself, do so by clicking on the link above. You can raise your queries to our support team or leave them in the comments section below.